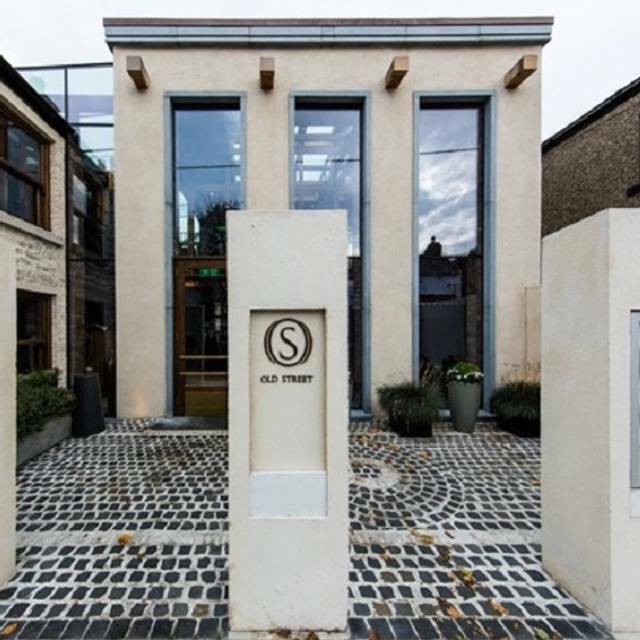 Old Street is a modern neighbourhood restaurant situated in the heart of historic Malahide village, County Dublin. Local couple, Mark and Adriana Fitzpatrick, have lovingly restored two of the oldest buildings in the village to offer a comfortable and casual dining experience along with a contemporary cocktail bar and wine cellar. Old Street’s Head Chef’s seasonal menus of elegant dishes with rustic flavours showcase the restaurant’s relationships with local farmers and suppliers. 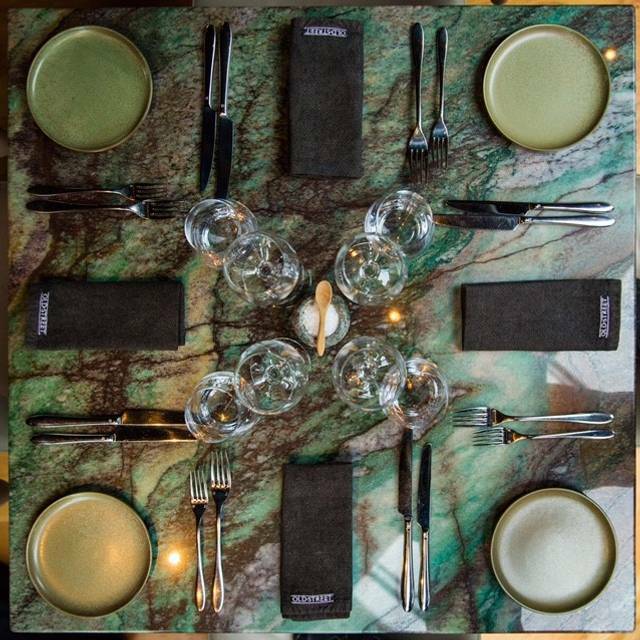 Old Street is committed to providing guests with a memorable dining experience. We have been to Old Street on several occasions and each time we go its a wonderful time!! I absolutely love it in there.. my husband and I went there to celebrate our wedding anniversary. Lovely drinks and fantastic value for dinner! I highly recommend for a night out with friends or that special someone. Great night had by all. The restaurant was buzzing and had a great atmosphere. We were well looked after and all 5 of us had a great meal, great wine followed by fantastic desserts. Thumbs up all round. I brought my Mum to Old Street for Mother's Day lunch, and had a really enjoyable afternoon. From the moment we walked in the door, staff were extremely friendly and helpful. Food was beautiful in taste and presentation, it was a great value menu for Mother's Day and a really good selection to choose from. My mum was really happy with her afternoon and that's really what it's all about given the day ! Thanks to all at Old Street, I would have no hesitation in recommending your restaurant. We had a lovely lunchtime meal on Mother’s Day including a complimentary cocktail for Mom! Children’s menu is a little limited, I’d like the option to pay for e.g a half portion from adult menu. Service was good, though meals were served quickly between each other even after I asked for a few minutes before dessert was served (we had a 2 hr slot but still had lots of time left) so no real need for the rush. We have been in Old street a few times now. It’s my favorite restaurant in Malahide. You really feel you are somewhere special when you are there. Yes, I would recommend Old Street to a friend. However, this point may not be the fault of the restaurant but the markdown was due to the fact that kids coats, hats and napkins were strewn across the floor when we tried to get to our table. Through no fault of the restaurant, the parents should have kept a better eye on their children as they were jumping and screaming whilst we were trying to enjoy our meal. Food & drinks all excellent. slight issue with service, although staff very pleasant, in that we were left waiting for drinks at bar despite glasses empty and again during meal waiting for dessert menus... staff seemed to disappear upstairs. Other than that excellent night. Lovely comfortable restaurant with delicious food , amazing service & fun friendly staff ! A cozy old world venue, renovated from cottages of previous local Malahide families! 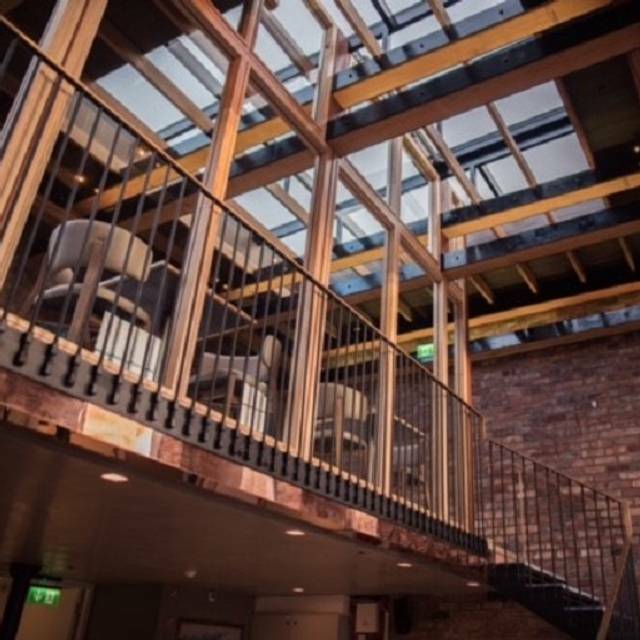 The choice of menus & price points makes this a true delight of a place to share with friends & families. Thanks for a great night Old Street ! 2nd time in old street. This time we were celebrating our engagement. We were brought two flutes of bubbly. Food was excellent and the 'pretty in pink' cocktail was a mind blower. Good buzz for a Wednesday night and 1/2 price bottles of wine. Great evening. Lovely setting, great location, beautiful building and interior and the staff were lovely - laid back but attentive and chatty. But the food was poor. We had the scallops and tuna as starters. The scallops were overcooked and swimming in a sauce of balsamic and onion - way too much sauce and a shame the scallops were just overdone. The tuna dish really looked the part but very bland - not real flavour coming off any of the ingredients on this lovely looking dish. We had the chicken with lentils and mash and the turbot dishes for our mains, again no flavour jumping off the plate. Way too much lentils poured over the mash. The piri piri chicken came across as having no piri piri at all, but just as being blackened chicken. Edible but again very bland and therefore heavy with the amount of lentil and mash. This is not a cheap restaurant. Including a bottle of Chablis, couple of cocktails and some table water -180 euro. The bill had more bite in it than any of the dishes, unfortunately! 5 star meal, fantastic service and lovely relaxed atmosphere. Can't recommend enough -our favourite restaurant for all the family. We found the food from a taste point was above average. The price was on the high side for what you got. No sides included in price of main. A few dishes were a bit small. Did not see this as a Michelin Guide restaurant. With that being said the service cannot be faulted in the slightest. Warm reception upon entering the restaurant and this continued throughout the evening. Thank you all we had a really lovely afternoon, we are a party of 6 , we meet up every 3 months , we enjoyed your restaurant so much , we hope to book again in the near future. Personally I’d love to see a chicken dish on the lunch menu , hope this is helpful. Had an early bird which provided a really good offering. Cured salmon starter was delicious. I enjoyed the burger for main. Sides and bread were excellent. Nicest soda bread I’ve had in I don’t know how long. Ambience was lovely- nicely busy for a Tuesday. A €10 supplement for the steak was a little steep in my view but apart from that, this is probably the best value early bird in Malahide at the moment. Will look forward to going back. Food was lovely . Starters were expensive . Staff were wonderful. Main course really good. Dessert was divine ! Lovely atmosphere, great cocktails, food was delicious. Service is ok, a little slow. But still had a lovely evening and could not fault the food. Thank you. Food, and atmosphere was super. Only down side was the volume of the singer playing that evening meant you couldn’t hear very well, but apart from that a super evening. I will 100% be back, a great spot, fab food, and fab service. Fantastic meal as always! food was amazing, service was outstanding and the whole dining experience was truely superb. They really do aim to make you meal a special experience....and they suceed! Birthday dinner. Gorgeous food, lovely hosts. Service was a little slow. They made changes to the shellfish used in one of the meals and I was taken aback that they only told us as they were putting the plate of food down in front of us. Not when we ordered. Amazing desserts. Décor is fab, food is very good and staff are very friendly but it's fairly pricey. Kids eat free at Sunday lunch but they charged us for a kid's dessert which was pretty annoying since last time we were there for Sunday lunch they charged us for the entire kid's meal. Food was lovely and menu changes every time I go. Extensive drinks list to choose from. Ambience and staff were excellent. The portions seemed to have gotten smaller since we last ate here. Food was nice but not amazing. Great night - right from the first greeting when we landed to the service, the food and the drinks. A fantastic night overall and a great way to spend a special birthday. This was our first visit and we'll absolutely be back again soon. Thanks! My first time in Old Street and I was very impressed with staff and the welcome. Food was excellent and as I was entering friends from NY I was very happy with the standard and professionalism on the night. Can’t wait to go back. Very enjoyable experience. Staff are knowledgeable, friendly and very well trained. Food was a delight. Lovely meal on Valentines Day with our two little boys. Old Street does very well for children , quality good at a good price. Stunning atmosphere excellent food .absolutely worth it. Cote de Boeuf . It was cooked as we had requested and was superb. Great value €50 for 2 people and it comes with sides and sauces. You just cant beat this place. The restaurant was fantastic and the presentation couldnt be better but we were too much time waiting to be served. Fantastic from the moment we walked in to getting a table in the bar area for after dinner cocktails. The food, the wine & the service all fantastic. Plenty of space to enjoy the wonderful food and the service couldn’t have been any better. Thank you. I’ve been to Old Street a few times now and the food is always outstanding! We got the early bird menu which featured a great selection! One of our party needed gluten free options and they were so accommodating. Super wine selection and a great atmosphere. It’s beautifully decorated and the staff are just wonderful, always smiling and genuinely seem to enjoy their job. Thanks Old Street, we’ll be back!